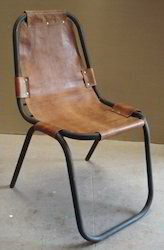 Outdoor Chairs, Garden Chairs, office chairs, rocking chair, computer chairs, dining chairs, wooden chairs, study chairs, arm chair, restaurant chair in iron, wood, iron and wood in different kinds of finish are available. If you are looking for a customized design feel free to contact. 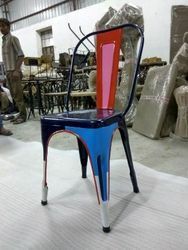 The chair can be done in customized shades. In the category of Garden furniture. 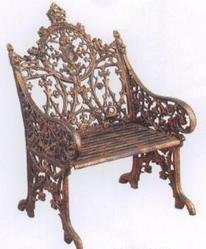 ALPA CORP offers a range of Cast iron arm chairs in various beautiful and attractive iron casting patterns. We are capable to deliiver cast iron chairs in various types and customization can also be done for cast iron furniture products. 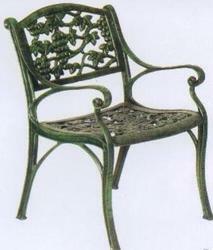 Cast Iron King Chair in Garden Furniture category is offered by us. ALPA CORP offer various styles of attractive floral, vintage style casting in iron for garden decor. In the series of cast iron Garden chairs, we offer several designs in various finishes like rustic, antique, powder coating etc. 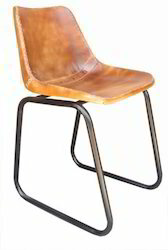 Industrial style iron chair popularly used as dining chairs in restaurants and theme based dining rooms. 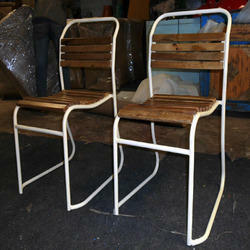 Industrial style iron chairs are offered in various shades. Iron Tolix dining Chair with Cushion. ALPA CORP offers a wide range of dining chairs in accordance with an option to choose from existing furniture in dining space. The following Dining chair in industrial loft style is upholstered with foam cushion and rich fabric to ensure the comfort and attractiveness at the same time. 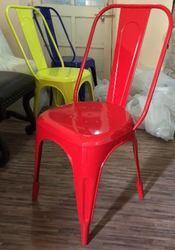 ALPA CORP offers CHAIRS such as Iron Chairs, Garden Chair, Center Chair & Table set, Vintage Baby Chairs, Garden Chairs, office chairs, rocking chair, computer chairs, dining chairs, wooden chairs, study chairs, arm chair, restaurant chairs, colorful chairs and Wooden Designer Chairs. Symbolic to all the success that we have acquired in the industry, remains our status as prominent exporter, and supplier of Iron Chairs. Our offered chair is demanded among customers owing to its modern look & enhanced durability. This chair is provided with customized options as per the need of patrons. The chair offered by us is checked on numerous provisions of quality for supplying flawless range. 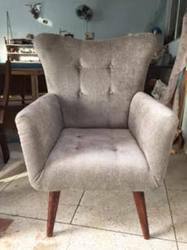 office chairs, rocking chair, computer chairs, diningchairs, wooden chairs, study chairs, armchair are easily availed from us within given time period at reasonable price. Packaging Details: standard export quality packing. We feel proud to bring forth our respected clients with an innovative array of Center Chair & Table set. This range is manufactured utilizing optimum quality material keeping in mind the set standards. Our offered range is acknowledged for the sophisticated design and durability. The given range is available in numerous specifications as per the requirements of customers. By keeping track with latest market trend, we bring forth an exclusive series of Vintage Baby Chairs that offers a high comfort for seating. This baby chair is checked by vendors quality experts for assuring its flawlessness. 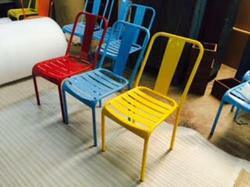 Offered baby chair is manufactured by vendors workforce using best quality material in compliance with market norms. 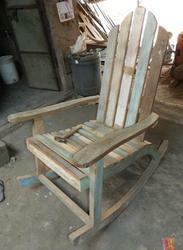 We are offering this baby chair in customized options as per customers demand. 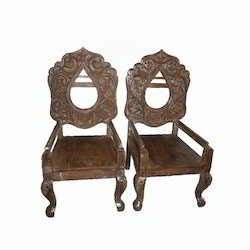 With sincerity and hard work of our vendor's professionals, we have carved a niche for ourselves in this domain by offering Wooden Designer Chairs. Procured from some reliable vendors of the market, our offered chairs are highly praised for their unique designs and shapes. 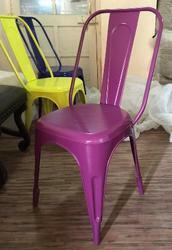 Easy to maintain, these designer chairs are widely used in home, offices and in different commercial sectors. Besides it, clients can avail this from us on an unbeatable price. ALPA CORP offers CHAIRS such as Iron Chairs, Garden Chair, Center Chair & Table set, Vintage Baby Chairs, Garden Chairs, office chairs, rocking chair, computer chairs, diningchairs, wooden chairs, study chairs, arm chair, restaurant chairs, colorful chairs, waiting chairs, industrial style chair, industrial design chair and Wooden Designer Chairs. 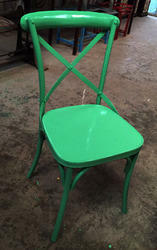 ALPA CORP offers CHAIRS such as Iron Chairs, Garden Chair, Center Chair & Table set, Vintage Baby Chairs, Garden Chairs, office chairs, rocking chair, computer chairs, diningchairs, wooden chairs, study chairs, arm chair, restaurant chairs, colorful chairs, bar chair, industrial design chairs, bar counter chairs and Wooden Designer Chairs. Iron Kid Chair Loft Interior style. A unique design with leg support. available in many shades. Iron Rustic Junk Furniture. 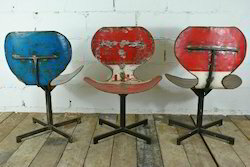 chairs are repurposed from junk in industrial style. 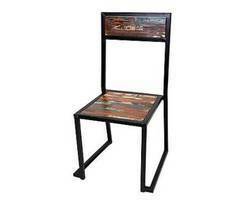 ALPA CORP offers Industrial Bar Chairs in iron with wooden top in various finishes. 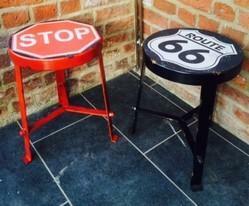 There is a range of theme based Bar funiture for decoration. 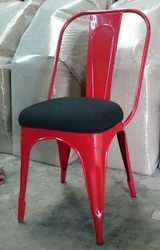 Customers can choose the customized dimensions for bar chairs and bar chair can be offered in various styles as per other Bar furniture or bar counter theme. 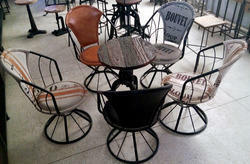 For exclusive bar chairs or buget bar chairs at wholesale prices write to us. Iron Industrial Chair furniture in nickel finish. The offered Chair is available in various other finishes. Iron chair with leather seat is offerd. The chair measure 45cms x 45cms x 90cms and is very attractive as well as comfortable. 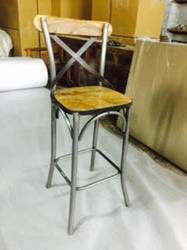 ALPA CORP offers bar chair with leather seat and wrought iron frame. 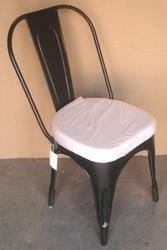 More styles of bar chairs are offered by us. Iron dining chairs in industrial style, retro furniture, vintage cast iron chairs, vintage industrial furniture, industrial furniture online, french industrial style furniture, chest furniture, industrial sideboard furniture, industrial sofas, industrial furniture designs, industrial desk, industrial vintage furniture, vintage retro furniture, industrial style dining table, retro vintage furniture, vintage metal furniture, industrial vintage, cheaper vintage furniture, industrial antiques, retro chair, vintage looking furniture, retro armchairs, vintage industrial table, vintage industrial desk, retro industrial furniture, industrial style table, vintage industrial chairs, industrial style chairs, vintage industrial dining table, industrial retro furniture, retro furnishings, industrial style dining chairs, vintage industrial furniture design, vintage metal table, industrial furniture vintage, furniture retro, vintage industrial coffee table, vintage industrial furniture for sale, vintage industrial style furniture, vintage and retro furniture, antique industrial casters, vintage industrial cabinet, unique industrial furniture, urban vintage furniture, vintage industrial cabinets, vintage industrial table legs, vintage metal tables, retro and vintage furniture, industrial bar furniture, cool vintage furniture. Iron Leather Chair loft style furniture. comfortable chair. 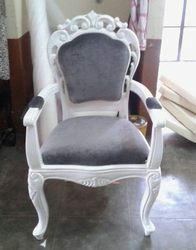 This chair consists of padded, upholstered seat by fine fabric. 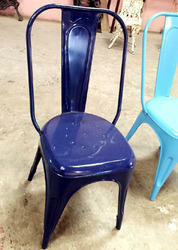 Customization of chairs are offered. 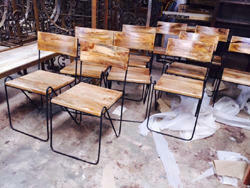 ALPA CORP offers Chairs in recycled wood i.e., reclaimed wood. it provides a feel of retro era. 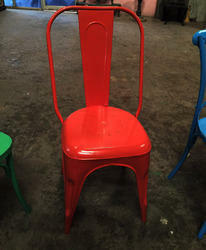 For retro theme interiors we offer a wide range of dining chairs, restaurant chairs to choose from. 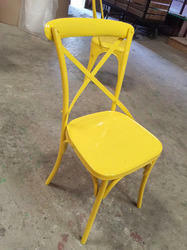 Iron Wooden Retro Chair in wrought iron frame and reclaimed wooden colorful seat and back. Restaurant Chairs, office chairs, rocking chair, computer chairs, dining chairs, wooden chairs, study chairs, arm chair, restaurant chair in iron, wood, iron and wood in different kinds of finish are available. 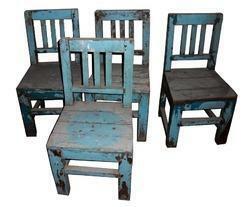 This Chair range is manufactured utilizing optimum quality material keeping in mind the set standards. Our offered range is acknowledged for the comfort and durability.